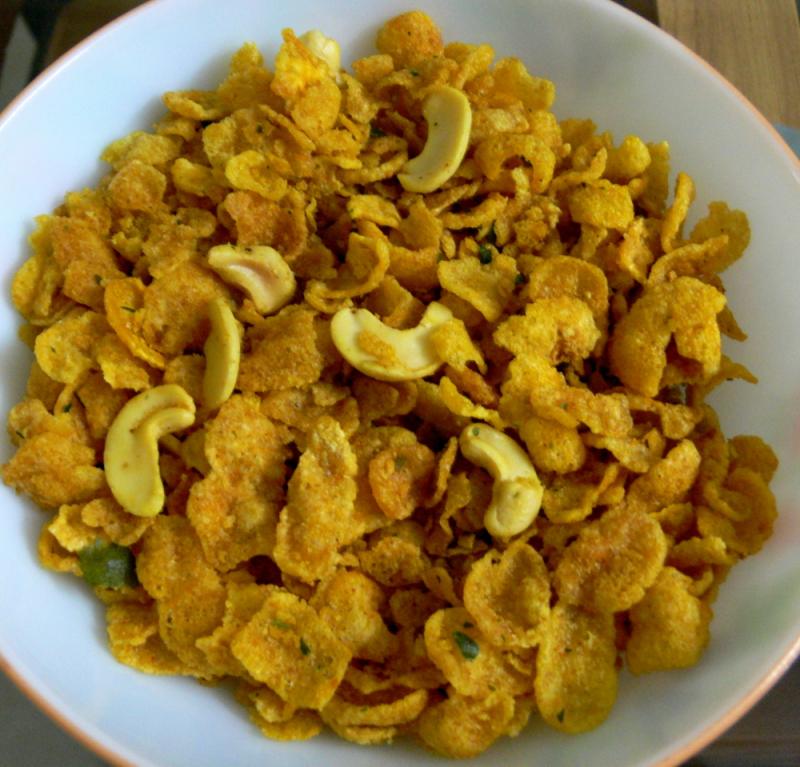 Try this easy to do Cornflakes Mixer at home . A quick tea-time snack,requires 10 mins cooking time only. Heat oil and ghee in a kadai, put chilli powder,turmeric powder, asafoetida powder and then add curry leaves,split besan dhal,corn flakes and cashew nuts together and fry well. Add the needed salt and mix well.